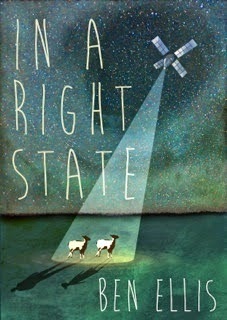 In A Right State is a peculiar book, far from easy to review. In a nutshell, it’s a dystopian twist on a future Great Britain, one where corporations rule the country and everything is focused on business and profit. The story opens, quite intriguingly, on one of the main characters, Duncan, as he follows with some trepidation the auction of his deceased wife’s body parts: in a time when the wasteful past (our present) has been replaced by a heightened consciousness of our resources, CO2 emissions have been eliminated and solar power rules, the environmental cost of a burial or a cremation is unthinkable, hence the auctioning off of a body for research purposes. Waste not, want not. The problem is, Duncan has a little secret that close examination of his wife’s body will reveal: he grows real, organic vegetables in a plot under his home – and that makes him an outlaw, because only OGM food is the accepted norm, or rather the law. So he destroys the underground garden and runs away with a few bags of precious seeds, with the corporate police hot on his heels. Yet this very interesting premise at some point became lost, for me, in the uncertain mood of the story, that alternates between seriousness and tongue-in-cheek fun, in a sort of Hellzapoppin-like sequence of sketches that made me often wonder if there was a definite sense of direction. There are also long stretches of exposition (the chapter where the Colonel is introduced is one of the clearest examples), and more often than not we are told about the characters’ feelings and reactions, but almost never shown. I’ve often wondered if this story wanted to be a sarcastic cautionary tale about the dangers in the path our society is taking, or if we were meant to be worried and take it as a dire warning. The first few chapters of the book also suffer from some instances of mixed tenses, adding to the general bafflement I mentioned above and that is compounded by narrative contradictions that quite bothered me: for example, if there is such a constant control on citizen activity (satellites, DNA scans and other means that would make the NSA guys envious), how could Duncan build the complicated underground garden and its equally complicated camouflage mechanism? I’m confused. Or probably unable to see the point because of some inherent lack of perspective. Not a bad book in itself, on the contrary it was a quick, interesting read, but despite that I could not… pin it down, for want of a better word. 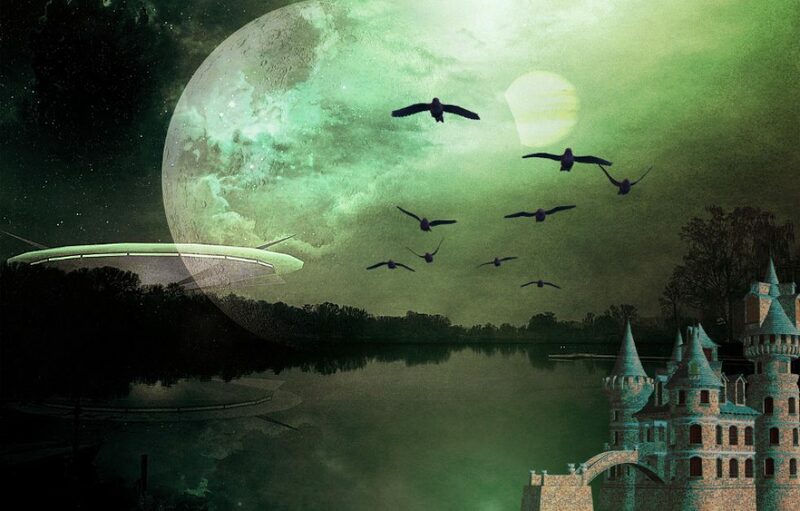 Old Bat’s Belfry just announced the birth of a new discussion forum, centered on all aspects of Speculative Fiction where you will be able to recommend, review and discuss the books you read and, if you’re an author, to promote them. What are you waiting for? Run to the FORUM, register and meet like-minded people! Horror is indeed a delicate medium to work with: the slightest misstep in storytelling can tip the balance either into unadulterated blood-and-gore or into grotesque mockery. This is not the case, not by a long shot, and I’m in awe of M.R. Carey’s ability to spin such a deep tale of love and discovery out of a quite horrifying premise. Melanie is a ten year old, very gifted girl whose admiration for her favorite teacher Ms. Justineau knows no bounds: the woman has enthralled Melanie with ancient myths and stories of the outside world the little girl has never seen. Yes, because Melanie and her classmates live in an underground complex, kept in cells when school is not on, and brought to class securely bound in wheelchairs… It does not take the reader long to perceive the truth about the situation: the world has fallen prey to an epidemic that turns people into zombies, and the children of Melanie’s class are test subjects in the search for a cure, because although infected, they are still capable of thought, reasoning, learning. When all hell breaks loose, this special child will embark on a “hero’s journey” that will require from her a very difficult balance between mindless instincts, willpower and the deep love she feels for her teacher. I don’t dare reveal more about this story, because it would be a huge disservice to any potential readers: even though tropes like massive pandemics, the zombie apocalypse and the crossing of a survivor group through devastated lands have been often employed, M.R. Carey managed to weave them into new shapes while creating an engrossing tale that is both a coming-of-age story and an exploration of the human soul. The focus is of course on Melanie – the girl with all the gifts, or Pandora, a name with several layers of meaning here – but the story is also told through different points of view, keeping it both lively and multi-faceted: besides the main protagonist there are Ms. Justineau, teacher and mother figure whose strong feelings for Melanie trespass the boundaries of her assigned task and have their roots into a past tragedy; Sergeant Parks, hardened and cynical soldier who sees Melanie only as a “hungry” (the book’s name for the zombies) and not a child; Dr. Caldwell, single-minded scientist in search of a cure at any cost; Private Gallagher, born after the Collapse, a mixture of violated innocence and hero worship for Parks. These brief descriptions might sound like well-known and well-used character traits, but in the course of the book they are often turned into unexpected directions, and can reserve a few surprises, because the author is quite skilled in delivering sudden twists and turns to his narrative. One such example is the origin of the infection, the crossing of the species boundaries by a kind of fungus, Ophiocordyceps, that usually attacks ants, taking hold of their nervous system so that the ants are literally compelled to move away from their grounds until they reach a more suitable location for the fungus, that then proceeds to grow from the doomed ant’s body. One of the most horrifying sections of the book is the description of the next level of fungal propagation from the hapless hosts to the larger environment, an image that will certainly haunt my imagination for a long time. Young Melanie, the protagonist, is indeed an innocent in more ways than one: all she knows of the outside world comes from books and the reader understands soon enough that her ignorance of the real state of things settles a further layer of innocence around her – and yet there is a core of maturity to this child that takes hold of her actions, once she and the others are forced to leave the dubious security of the army base, and ultimately brings her into a leading role of sorts. The world outside belongs to the infected, and Melanie finds herself in the unique position of being a go-between or a last line of defense for the handful of surviving adults: the calm, accepting way in which she deals with her nature, and what’s more important the maturity with which she finds a middle ground between nature and nurture, make her a compelling character, one that stands out in sharp detail. For this very reason I was able to accept the unexpected ending, one that feels both terrifying and right: like the titular Pandora, Melanie does ultimately open the mythical vase and unleash its contents, but at the same time the book’s ending brings a glimmer of hope for the future. A very changed future, granted, but one that promises to be peopled by much more than mindless, fungus-driven specters. 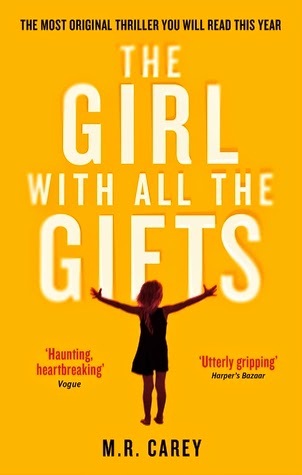 A brilliant, powerful ending for a book that will remain with me for a long time – one that I can’t recommend enough, even if your reading tastes are far from this genre: I promise that it will surprise you in many ways, and touch you deeply. When I discovered the Newsflesh Trilogy by Mira Grant, I learned that she is the alter-ego for Seanan McGuire, Urban Fantasy writer, and I was of course curious: until that moment, my attempts at reading this particular genre had not ended well – the books I happened to pick up seemed centered on repeating clichés and cookie-cutter characters, so that I was convinced Urban Fantasy was not my cup of tea. 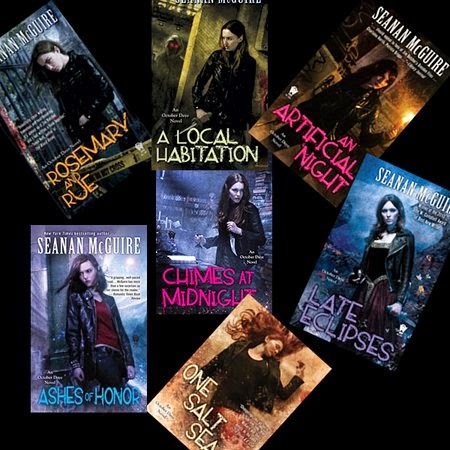 But Mira Grant’s writing prompted me to give the genre another try: now, after seven books in the October Daye series, I’m very happy I did, because Seanan McGuire is the kind of author who gives Urban Fantasy a good name, to paraphrase the old song. October “Toby” Daye is a San Francisco private investigator, and also a changeling – half human and half fae, therefore never fully belonging to either world: the fae generally despise mixed bloods, their contempt in inverse proportion to the percentage of fae blood in any changeling, while humans must be kept in ignorance of the differences – some subtle, some less so – in their appearance, because the secret of faerie’s existence is to be kept at all costs. When we meet Toby for the first time, she’s chosen her human side and tries to build a normal life for herself: a husband, a child, a job she enjoys. But one of her investigations crosses the purposes of a powerful fae who transforms her into a fish, condemning her to several years of this limbo while the world goes on without her. Once the enchantment wears off, Toby’s family has adapted to her sudden disappearance and moved on, and she finds herself alone and adrift, with no clear purpose in life and a defeated attitude that leaves little room for hope in her future. It’s only through her reluctant involvement with the fae world, due to a brutal murder she’s asked to investigate, that she starts – slowly and painfully – to come out of her shell, and to gain a new lease on life as she rebuilds herself literally from scratch, collecting friends and allies along the way. The first book in the series, though still fascinating, feels somewhat slow, so I urge any potential reader to overlook that and to stay on board for the ride – it’s the same advice I followed when I started, and I’m glad I did: this series gets better and better with each following book. The world-building expands in concentric circles, creating a fascinating tapestry out of the intersecting – but never really touching – realities of our primary world and faerie, and presenting a huge variety of fae and changelings, all with their individual traits that make them alien in appearance and abilities, and at the same time very human in their passions and desires. With each following book I’ve become more and more invested in these stories and characters, in the parallel world of faerie, with its complicated, often cruel politics and interweaving alliances, with its powerful allure. And of course I’ve become invested in Toby, her slowly growing family and her evolving personality – the clear trend of this series is growth, and I’ve found my initial patience more than amply rewarded. What makes Toby special? First there is her single-mindedness: once she sets on a task, she pursues it with relentless determination, learning from the mistakes she makes along the way. Yes, she’s not perfect, and that’s another detail that endeared her to me – she’s flawed, and fallible and accident-prone: unlike the cookie-cutter heroines I mentioned above, Toby is far from the all-powerful-ninja-warrior that seems the norm in this genre. She gets hurt, she bleeds, and she pays dearly for missing important clues, or for trusting people she shouldn’t or not listening to sound advice. There’s something approaching a death wish in her, more evident at the beginning and lessening as the story goes on. Or if not a death wish, then a grim determination in completing her chosen tasks, in fulfilling the obligations she takes upon herself with little or no regard for personal consequences, an attitude that speaks volumes about her psychological make up and also explains the strong loyalty she engenders in the individuals gathering around her like planets around a sun. What’s more, Toby manages all that in spite of her shortcomings as a changeling – on the contrary, she turns what pureblood fae consider a limitation into her main strength: she can go where individuals of both worlds cannot, she can perform feats denied to others. In short, Toby non only does not make any excuses for what she is not, but shows the world – both worlds – that strength can come from those very differences. And she pays the price for it every day, by giving of herself for the sake of others, with constant demonstrations of dogged selflessness. With these premises, and McGuire’s fresh outlook on the genre, it’s hardly surprising that these books are gathering increasing success and acclaim: my direct experience is that they deserve it in full. Let yourselves be captured: you will not regret it. The Lions of Al-Rassan is, on the other hand, a beautiful story, one that held my attention from start to finish, even though it’s not immune from some shortcomings – so I guess that the 50:50 rule does indeed apply. Characters represent the strong foundation of this novel, fashioned after the era when modern-day Spain was a territory shared by Christians and Muslims and also held a flourishing, if constantly endangered, Jewish community. Here these different cultures are represented respectively by Jaddites, Asharites and Kindath, and embodied by Rodrigo Belmonte (a fearless soldier who is almost a legend of the land), Ammar ibn Khairan (poet, warrior and scholar, all rolled into one) and Jehane bet Ishak (dedicated doctor and strong-willed woman of startling modernity). The dynamics behind these characters, the events that shape their story, the complex bonds of love, friendship and loyalty that tie them together as much as drive them apart in a sort of shifting dance, all contribute to make this book the fascinating read that it is: following them as they deal with the unfolding drama of a divided land, trying and failing to find an acceptable balance, is a constant discovery, helped along by G.G. Kay’s rich and elegant narrative. 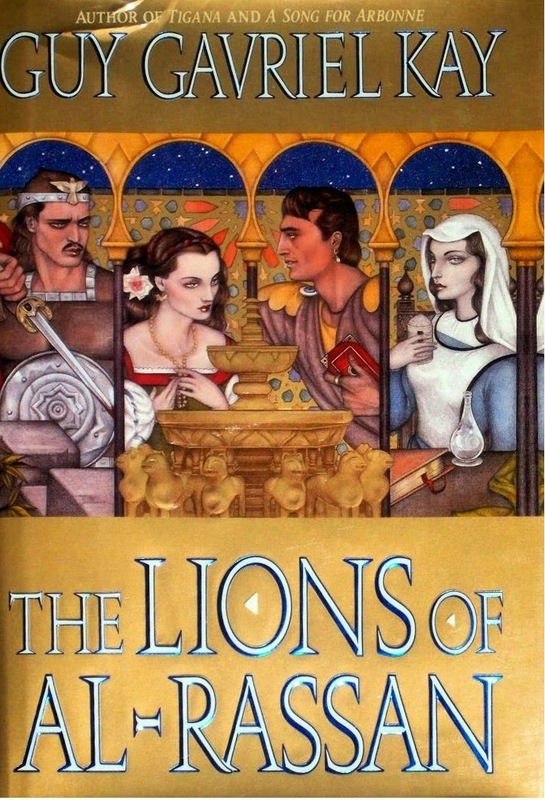 These main characters come across as real, breathing people, and it did not take long for me to grow attached to them, and care for their well-being, as well as that of a few equally unforgettable secondary players, like young Alvar, who is enrolled in Belmonte’s company dreaming of war and glory and soon discovers the darker side of a soldier’s life; or merchant Husari, who is both shrewd and humorous; or again Miranda, Belmonte’s wife, an iron lady whose appearances were much too limited and distanced for my tastes. Just to name a few, of course. The throes of a country struggling to find a new shape and a different balance represent the other fascinating magnet of the novel: for a long time Asharites and Jaddites have vied for supremacy with one another, while battling among themselves for power, in a constantly shifting political landscape in which the third party, the Kindath, are trying to survive, always on the lookout for a change in the wind, always dealing with the certainty of the next blow that will fall from above. This side of the story is incredibly modern: to this very day, our world still struggles under the weight of conflicting beliefs – be they political or religious – and there are always those who suffer because they are crushed between rocks and hard places that are too big to avoid. In this the book manages very well to elude the pedantic quicksand of allegory, and presents the reader with a subtle commentary on the human condition, and how certain drives shape our actions and their consequences – it makes you stop and think. But… There is indeed a “but”, because some of G.G. Kay’s choices in telling this story ruined the overall effect for me. For example, there are several instances in which he leads the reader to believe that a certain character has been killed: for a good number of pages we observe the scene unfolding under our eyes and the offered clues point to a particular person, only to arrive at the final denouement and discover that it was someone else. The first time that happened I was torn between shock for the unexpected revelation and irritation at having been led astray for so long: somehow it lessened the impact of the actual loss – a character I liked very much, by the way – because I was too busy being annoyed at the deception. 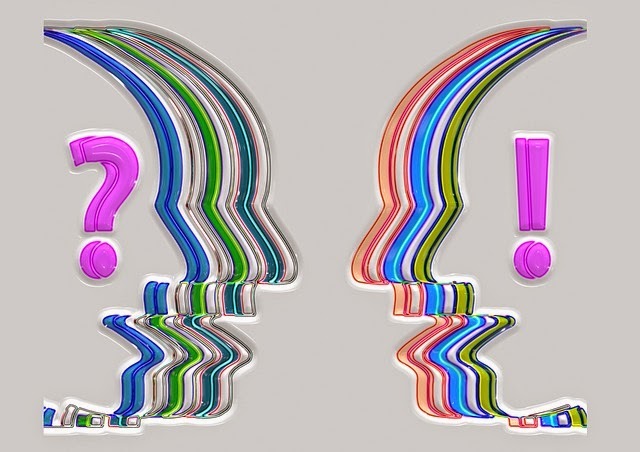 When it happened again I was angry: in my opinion, an author should not make excessive use of such devices – fool me once, ok; fool me twice… I lose all faith in you. And that’s not the end of it, because G.G. Kay did it once more toward the end of the book, in what should have been the epic encounter that symbolizes the clash of two worlds. But at that point, even the most distracted reader would have been alert and suspicious as I was, not to mention offended by the cheap trick. For these reasons I can’t give this book the rating that story and characters should deserve: this could have been a 8/10 or a 9/10 book, but even the finest meal would lose some of its flavor if it was served on a chipped plate, would it not?